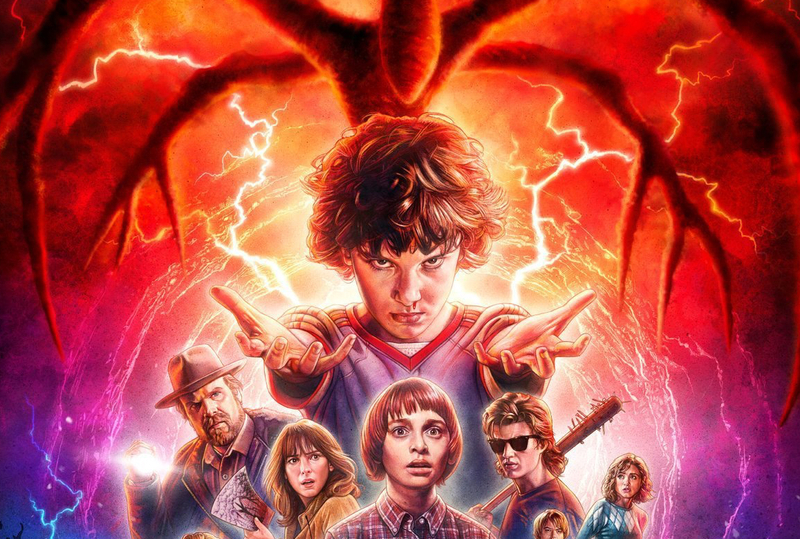 Netflix wowed audiences last year with the release of its suspenseful Sci-Fi series, Stranger Things, that left viewers in the other dimension with a jaw-dropping cliffhanger in the Season one finale. At the end of the episode, the beloved Eleven (Millie Bobbie Brown) lifts up her hand and completely degenerates the Demogorgon with her mind powers and vanishes into the unknown. We may know Eleven’s fate soon enough, as we find ourselves just a few days away from the premiere of season two on Oct. 27. The season finale ended with an emotional sequence of events, as Will (Noah Schnapp) is revived in the Upside Down with Officer Hopper (David Harbour) later entering a black 80’s Lincoln with the Hawkins Lab agents. The last thing we see is Will coughing a strange live looking blob of what we know is from the Upside Down, and then totally disregarding it, leaving every fan utterly anxious for what will happen next. Where’s Eleven? What is happening to Will? Are there any more monsters coming? What mess has Officer Hopper got himself into? What was going on at the Hawkins Laboratory? At last, all these questions can be answered. The trailer for Season two answers a couple of those questions, but at the same time it creates even more. It starts by showing Will and his friends entering at the local arcade. As they are playing their favorite game, Will hears a crazy spooky voice saying his name and as he’s walking towards it, he flashes back to the Upside Down. The trailer then reveals the newest massive spider-like monster in the underground. And at the end, Eleven appears, looking ready to make another appearance in our dimension. One of the new faces of the show is Bob (Sean Astin), who plays Joyce’s new boyfriend; a friend from her high school past. With the addition of some new faces, the complete cast of Stranger Things will return to this upcoming season. Season two has a total of nine episodes, one more than Season one. Some of the names of the episodes are: “Madmax,” “The Boy Who Came Back to Life,” “The Pumpkin Patch,” “The Palace,” “The Storm,” “The Pollywog.” The names of the last three episodes may be subject to change, according to the creators/directors of the show the Duffer brothers. It looks like Will will be the main focus in the new season, contrary to last year. And now that Eleven is nowhere to be found, Byers will be the outer world’s key into the Upside Down. HIs connection to this other dimension will likely be revealed in this new season. As Will coughed a blob out of his body at the end of the last season, that same blob, grew, expanded and started to turn the Upside Down into one dimension, just like an infection spreading. What does this mean? Everything is a mystery in the town of Hawkins, Indiana. Tune in this Friday to binge one of the most exciting shows of the season.